Freedom Mobile Review - Should I Switch? Freedom Mobile for those that don’t know is the new carrier released by Shaw Communications after buying Wind Mobile. So one can essentially say it’s Wind Mobile however keep in mind that Shaw is heavily investing into this new wireless carrier to really bring value to subscribers. Freedom Mobile has over 1 million subscribers and comes in as the 4th largest carrier in Canada after the big boys. Time will only tell if it has what it takes to compete with the big 3. Shaw officially took over Wind Mobile on March 1, 2016 and they renamed it to Freedom Mobile in November 2016. The launch of Freedom’s 4G LTE service, of which coverage has been a hot topic, was also launched in November 2016. 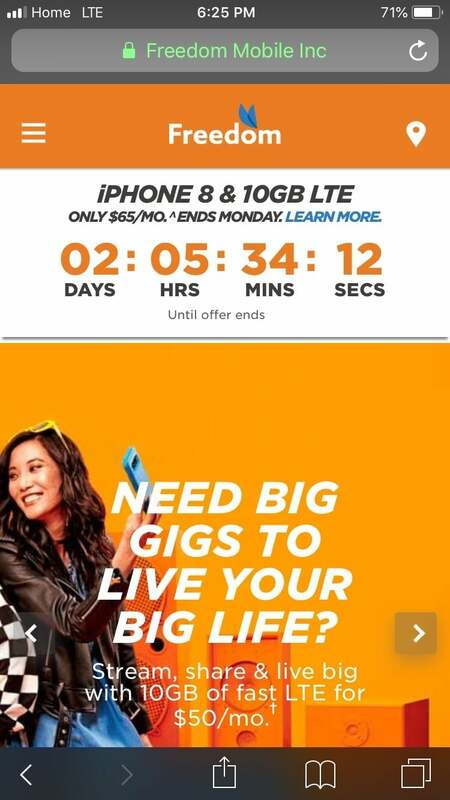 As of late, Freedom Mobile has been making a big push to acquire new clients, heavily promoting specials like a $40 6 GB plan towards the end of September 2017. Add to that iPhones now actually work on their network and the words Freedom Mobile seem to be swinging around many people’s tongues. So the burning question is, are they any good? When it comes to coverage with Freedom Mobile, they break out their options as either on the Home network, Variable network or Away network. So Is Freedom Mobile Reception Any Good? December 2017: TTC Subway Platform & Some Tunnel Coverage – Seriously? Yes! 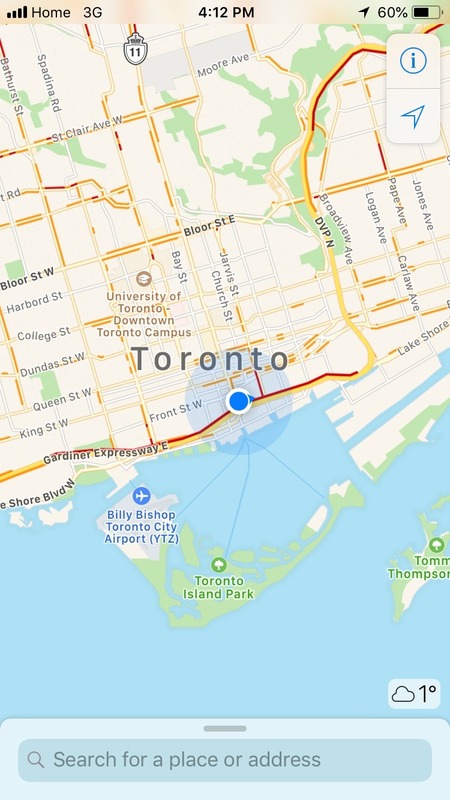 – Freedom Mobile now works on every single TTC subway platform, including new line 1 extension platforms. It also works in the tunnel on the Yonge line between Bloor Street and King Street as well as from around the new Downsview Park station all the way north to the Vaughan Metropolitan Centre station! 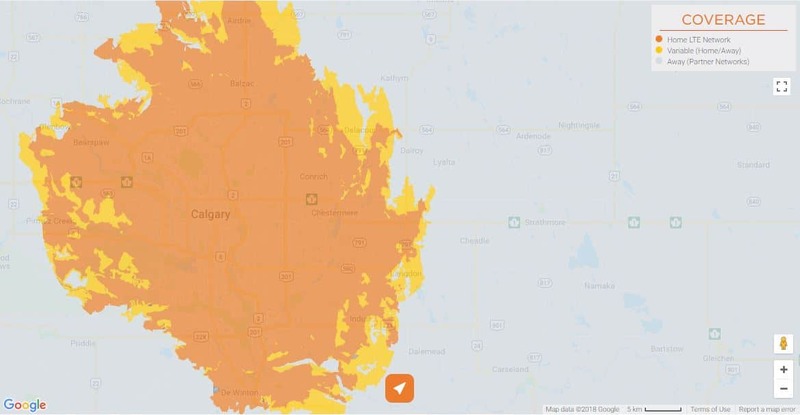 According to the Freedom Mobile website, over 1.3 million Canadians will get access to fast LTE data in 2019. In addition, they’ve also started to push their roll out of Extended LTE which is their Band 13 LTE (700MHZ low-band spectrum). 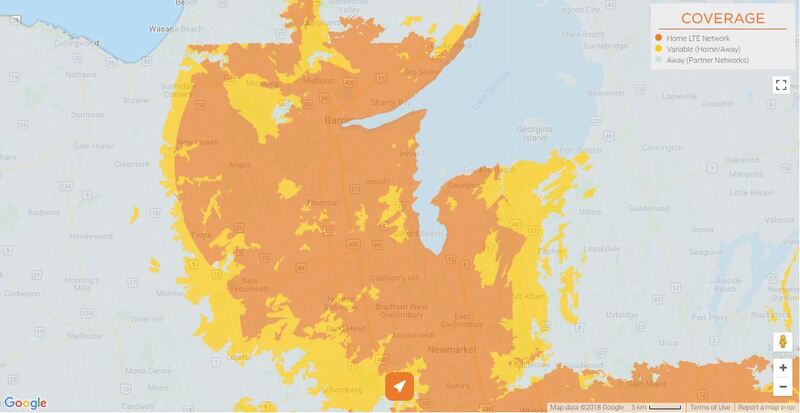 What Extended LTE means is you should get stronger coverage in areas where you currently get just ok coverage as this spectrum has a better ability to penetrate walls. This should also help Freedom expand their network further. Extended LTE is available in the GTA – if you’ve noticed a difference let us know in the comments below! 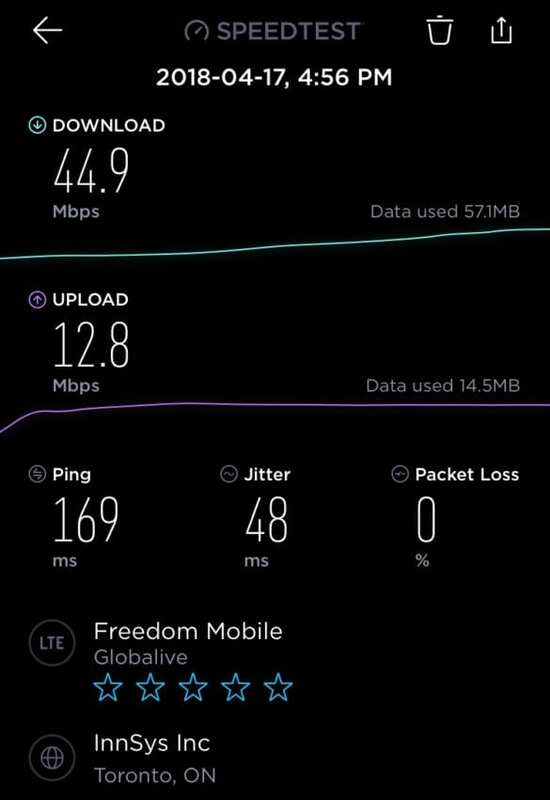 So how is Freedom Mobile LTE? 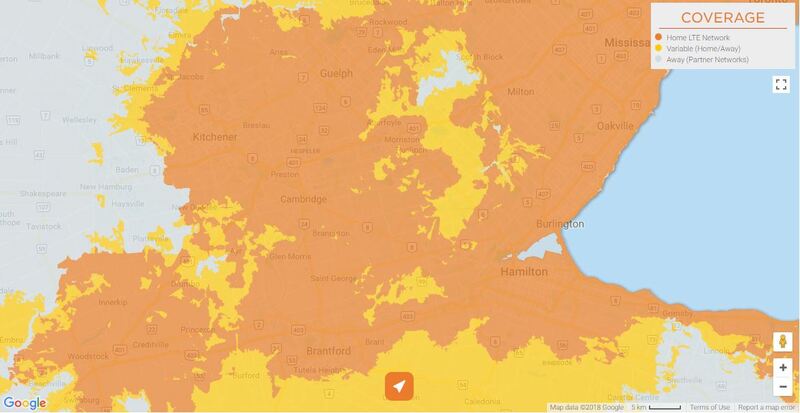 Freedom Mobile’s LTE coverage has definitely already come a long way compared to when they first launched. 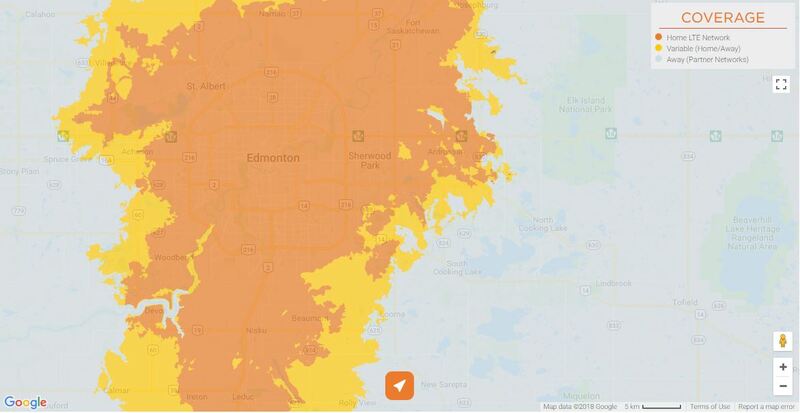 LTE coverage is now standard anywhere they offer service on their network so that’s a good step. So is it any good you’re probably wondering? While many forums online have both good and bad reviews, we will be adding our own internal testing results shortly, so stay tuned! 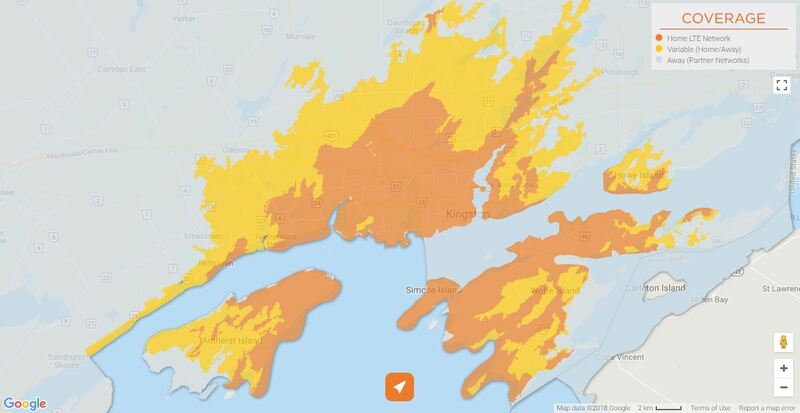 Here are coverage maps from the Freedom Mobile website. Freedom Mobile has recently introduced the Digital Discount. Before you review their plans, the Digital Discount is $5 per month off the regular price of eligible in-market plants. Freedom Mobile offers the following ‘Home’ plans. There are 3 plans that include a variation of talk, text and data. In terms of pricing, they are very reasonable compared to the big 3. These plans are for those who usually stay in their Home network. Freedom Mobile offers the following ‘Big Gig + Talk’ plans. There are 4 plans that include a variation of talk, text and a huge amount of data. In terms of pricing, again this is the cheapest out of all carriers for this combination of data and talk! Looks like Freedom Mobile will be carrying both the Samsung Galaxy S9 and S9+ and you can purchase them for $0! Freedom Mobile Prices: The S9 can be purchased for $0 if you add a $20/month MyTab Boost for 24 months on current $50+ plans and the S9+ can be purchased for $0 if you add a $25/month MyTab Boost for 24 months on current $50+ plans. See details on the S9 here and details on the S9+ here. Simply put, with MyTab you can decide how much extra money you would like to be charged to your monthly bill in $5 increments which goes towards paying off the new device you just purchased over a 24 month period. So where other carriers require you to sign a 2 year contract on price plans that are usually quite expensive to get the device at a decent price, Freedom Mobile definitely gets a high five for being transparent and flexible about what you pay for the device based on the MyTab option you choose. BYOP: Keep in mind that you can also Bring Your Own Phone! You will also save $120 ($10 per month for 12 months) when you activate your own phone on a new line on a Big Gig plan in-store. So is Freedom Mobile worth it? In our opinion, having a fourth major carrier in Canada is great for competition. The plans Freedom Mobile offers, especially the Big Gig plans provide the most amazing value for money available in the market. The fact that they now offer iPhones is amazing. The reception may not have been the greatest when they launched but we’re hearing it’s getting better and better, especially if you’re based in a core city. Overall, we think Freedom Mobile is an excellent choice! Any downsides? Who is Freedom Not For? 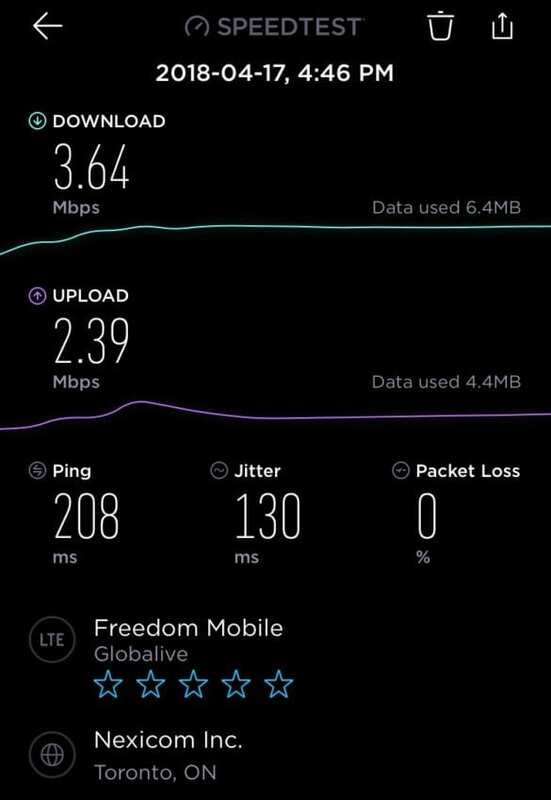 When is VoLTE coming to Freedom Mobile? Well to start with VoLTE stands for Voice over LTE meaning phone calls will go through the 4G LTE network instead of the current 3G. Unfortunately Freedom Mobile does not offer voice calls over 4G LTE yet. We assume they will wait until their network is stronger before releasing this feature. Definitely an exciting milestone forward. We’ll keep this page updated as they’ve stated that they’ll me making VoLTE available to other devices. Hoping the iPhones, Samsung S9 and Note 9, Google Pixel and HUAWEI P20 amongst other devices get this capability soon! Does Freedom Mobile offer prepaid service? Yes, Freedom Mobile does offer prepaid service. Go to the Freedom Mobile website and enter your IMEI number in their Bring Your Own Phone compatibility checker. If you’re phone will work on their network, the next step will allow you to order a sim card for free. The sim card should arrive in 4 – 5 business days, after which you can activate it on Freedom Mobile prepaid service. Why is Freedom Mobile so cheap? 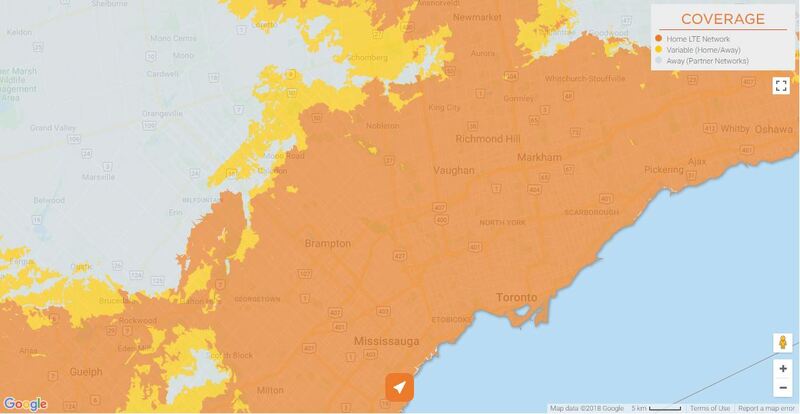 Since Freedom Mobile is a new entrant into the space and competing with the Big 3 Carriers is no easy task, it seems like they are using lower price points as a tactic to help increase the amount of subscribers. The lower price does not relate to the quality of the network by any means, Freedom Mobile is heavily investing in bettering their network. 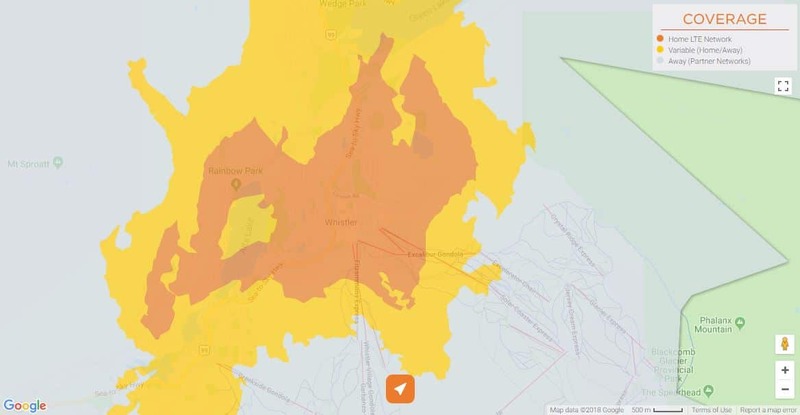 One big difference however is their coverage area and what is considered covered in your plan or your home area vs what is considering roaming or your away area. 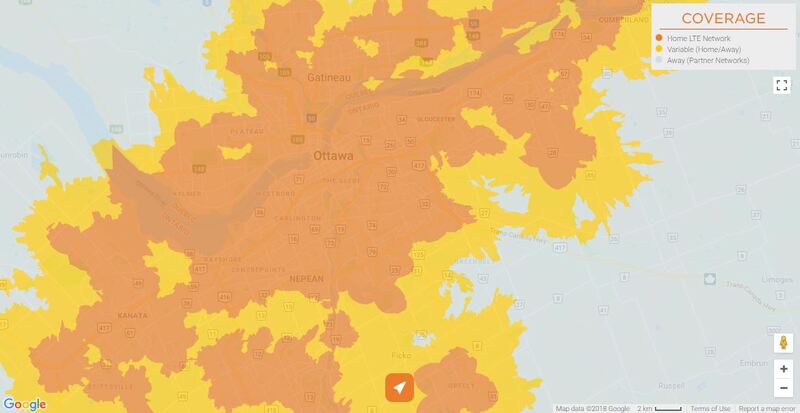 See the coverage maps above to get a better understanding of how Freedom Mobile coverage works. Does Freedom Mobile sell the iPhone? Unfortunately at this time Freedom Mobile does not sell any of the Apple iPhone devices. They do however offer the flagship Samsung devices and have recently started offering the Google Pixel 2. Do the iPhone 8 and iPhone X work on Freedom Mobile? 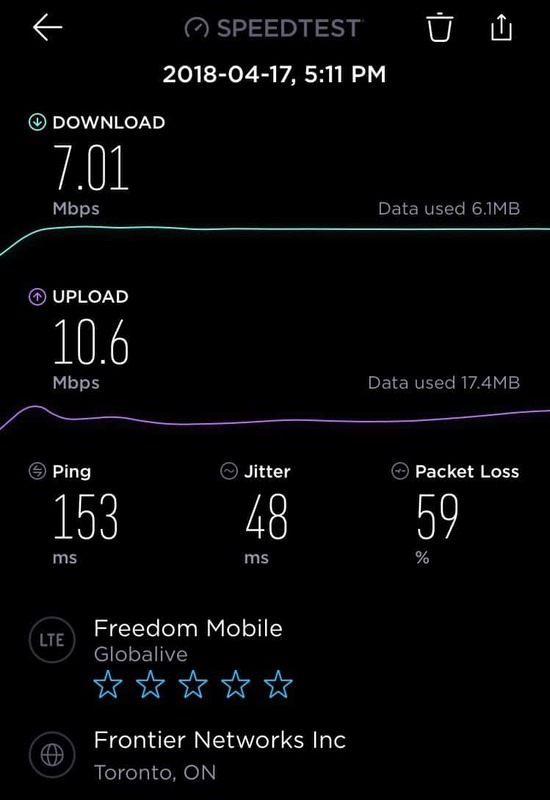 There seems to be some discussion on Reddit confirming that the iPhone 8 has been working on the Freedom Mobile network. 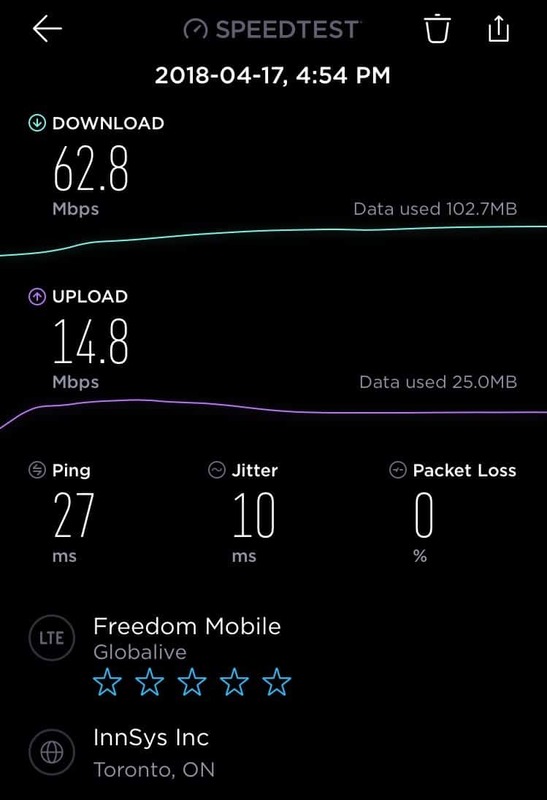 Does Freedom Mobile have LTE? Yes, Freedom Mobile does offer LTE service. As per the Freedom Mobile website, LTE is rolling out in stages in Fall 2017 and is already available in popular cities. 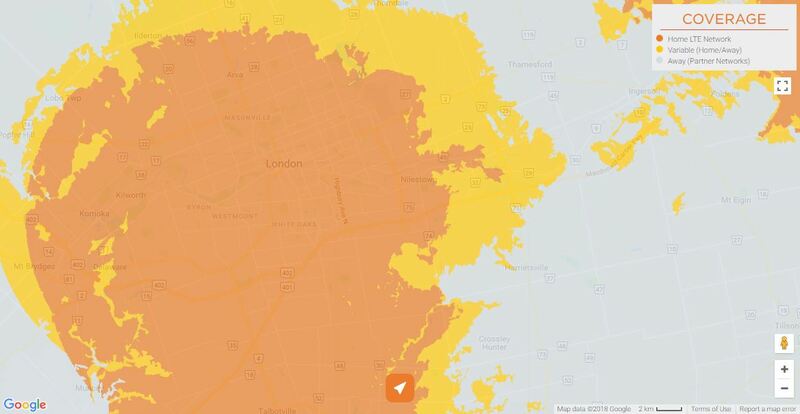 See the orange shading in the above coverage maps to see where Freedom Mobile LTE service is already available. What’s the Freedom Mobile Customer Service number? You can contact Freedom Mobile at 1-877-946-3184 from 8 AM to 10 PM local time 7 days a week. 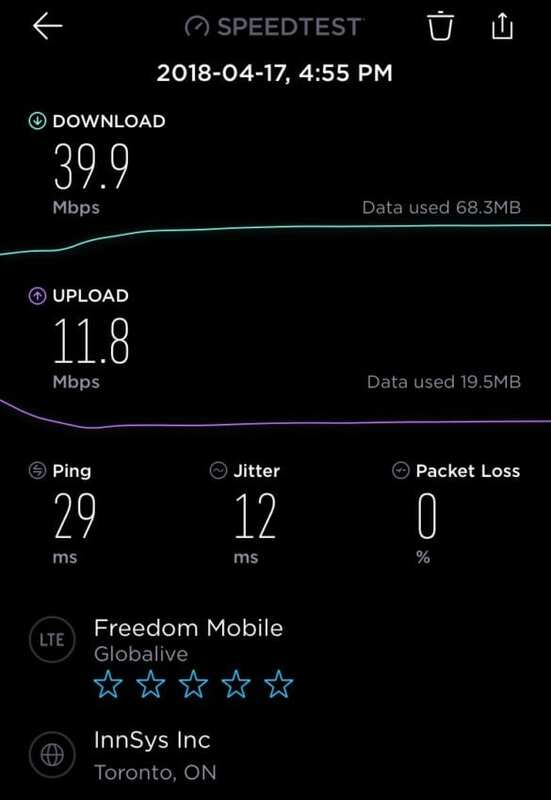 What are your thoughts on Freedom Mobile? How is the reception? What about their customer service? 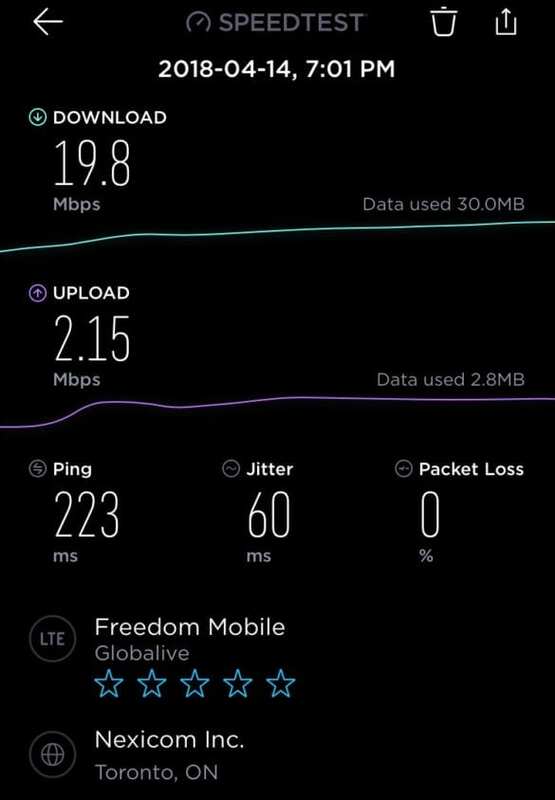 Let us know what you think of Freedom Mobile in the comments below! *Disclaimer: We have no affiliation with Freedom Mobile, this is an independent review of their services and offerings. This article is a little misleading that you can’t get unlimited talk and text on the away network. 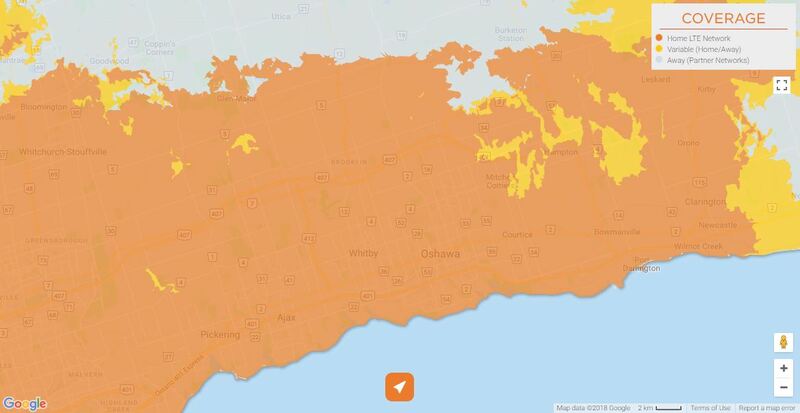 This maybe true for the home plans, however the unlimited Canada wide plans $50 and over will give you unlimited talk and text on the away network. You can even get some full speed data on it which just like on the home network will throttle down when you use up your full speed data. Good catch, we’ve updated to reflect the unlimited talk available on the away network on those plans. Good to hear you’re happy with the plans Will! We signed up 4 lines in the summer and has been very happy. No complained. Didnt notice much different than our previous service with chatr for the past 3 years. Moved to freedom because better price better phone choices for cheaper cost. I live in North Burnaby area. Only blind spot we notice is along canada way/BCIT, school house/ north road area. But that didnt bother me. We are happy with our new iphone. Freedom needs to get better reception in Vaughan and in King City it really weak. I just switched to them and I can see the difference with reception. My phone keeps cutting out , sound like a robot and dropping calls, I’m start to regret the move. Moved out from freedom mobile last week. I subscribed service from Wind mobile from 2013 on 250M data a month plan from day one, and I’ve never changed my plan. The service was OK for the money, except the weak or no signal on some places supposed to be covered by Window mobile. I started to have billing issue from the start of this year. My home data usage never exceeded the 250M threshold, but I was charged an extra $5 each and every month. I’ve called a couple time, talked to supervisor twice. First they said my plan has only 100M data instead of 250M, I said I can provide all the statements from day one to prove the 250M data on my plan. They then refund me $3~$4 for the previous month every time I called them. But the next month? My data limit stays at 100M instead of 250M, and I am still charged $5 extra even though my data usage is way below 250M. On one month I only used 120M data, I still was charged $5 extra. I do not know why they cannot fix my billing problem in three months. They never suggested me to switch to a similar plan if they do not want to support the plan from Wind mobile. So I moved away to solve the problem myself. Freedom mobile has horrible service. Let’s start with roaming on one side of warden and Sheppard in Toronto service is fine cross the street and your in a roaming area. Then let’s talk about the excuses freedom uses for always having low to no signals in areas. Spoke with freedom they need to adjust the signals in area. Then doesn’t help by the way this area is covered. Then to say it’s your sim card. To OH resting the phone to more and more. This company isn’t worth the buck. Go somewhere else. I was with them for three years and gave them an equal chance. Go anywhere but here. Terrible experience. Had to cancel after a week. Phone kept roaming in Brampton and had no service in Bolton which is just north of Brampton. Their customer service also leaves a lot to be desired. Their staff lied to us. 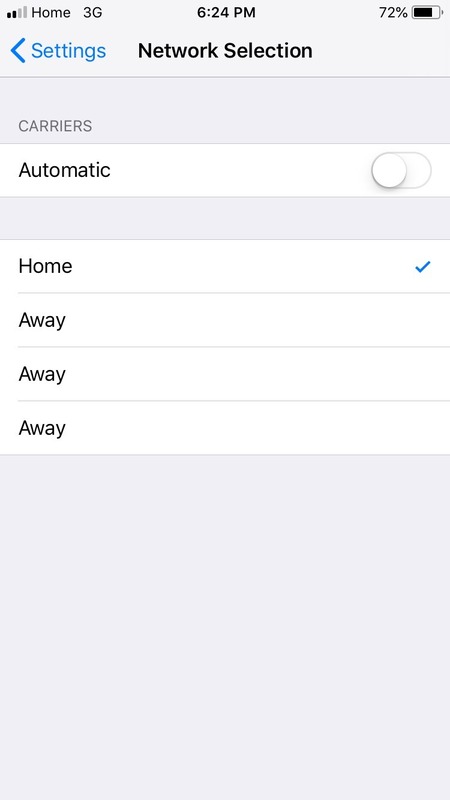 Do your research re “home and away”…we found out there isn’t much “home”….mainly “away” = roaming = extra charges. And you can’t return the phones to the closest location to you. You have to return them to the store you purchased them from, so choose your purchase location carefully, It will save you unnecessary pain when you cancel and have to return the hardware. Tank you to the people who put this together. Very helpful information. Now, I have to say, it appears that Freedom’s coverage is largely laughable. I am here in London and I see from the map that if you’re west of My Brydges or east of Thamsford, you’re going to be roaming, which means there will be additional charges. And those charges are not cheap either – $0.05/Mb for data? I am glad I read this before switching. My wife and I are both free of contracts and are looking for options from our present carriers (she’s with Bell, I’m on Fido). WE are definitely not going to switch to Freedom, however. Just wondering who you ended up going with……I am in same boat, no contract but looking for new provider, I thought I had found them with Freedom and great new customer deal but am questioning it with these reviews. My experience with Freedom mobile has been frustrating, disappointing and a waste of time. In my opinion it is little more than a scam disguised as a legitimate business. Their initial offering here in the Vancouver area seemed to be too good to be true, which of course it was. I took my wife in to switch her plan from another carrier based on their offering of lots of data, clear signal, hassle free etc etc. She signed up for the $50/mo plan. 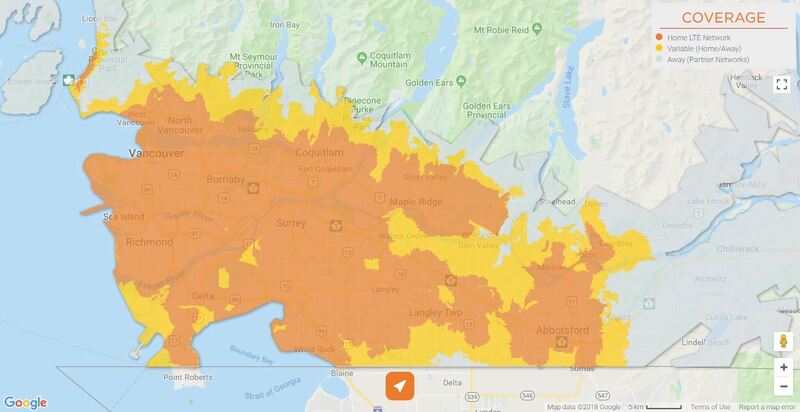 We understood that coverage was really only good in the lower mainland and outside of there, only good in other major urban areas. We paid a $50 deposit, plus another $10 for a SIM card for her phone. The salesman/employee was adamant, that we had nothing to lose, that we could try it out for 15 days, if we weren’t satisfied, our deposit would be refunded back onto my credit card as would the cost of the SIM card, no questions asked. He circled the $50.00 deposit and wrote on my receipt that my refund would be mailed within 30 days if she cancelled. I asked about what he’d told me about the deposit being refunded onto my card immediately. He told me that it would likely be returned onto my card, but at worst would be mailed within 30 days. I should have seen the writing on the wall. Within 2 weeks we were convinced that there were too many problems with the reception and the inability to connect, to get any use of the data plan. We returned to the store on October 31, 18 to cancel the plan and get our refund for the deposit and SIM card. We were given our refund on the SIM card, no problem. The deposit, they now told me, would have to come from their main office, back onto my credit card, that I should probably have it within a week and to check my credit card to see that I got it. To say the least, I was choked, about the sleaziness of their methods to take deposit money, promise to repay it immediately, then change that to within a month, then when I request it after cancelling their service within the allotted 15 days, they now show me that it MAY be refunded, after 6 months. On November 8, 2018, my credit card was charged $17.01, for the time we’d had the plan. Of course, as they are hoping, after 6 months it had slipped my mind. At almost 8 months from the time of the cancellation, I remembered and checked my last few credit card statements, but no $50 was there. I went back into the store, asked the salesperson what had happened to my refund. I could see by the look on his face, he was used to being asked the question. He took my receipt and contract, called their head office and spoke at length to someone there, who was obviously not saying anything good about my refund. I asked to speak to the person, who started giving me the run around, about refunds and then put me on hold ‘to go and look up the file’, because of course, he wouldn’t have it on a screen in front of him. I waited on the line for more than 10 minutes, then the line went dead. The store rep called back and got someone back on to talk to me. Now the HO person claimed that my refund had been ‘overlooked’ and that I would be receiving a refund of $44 sometime soon. His explanation was that there were additional charges that had to be deducted. I told the person that we had returned the chip and cancelled the plan inside the 15 days, that we’d paid the $17 cost of service that had been charged to my card, so should not have been any extra charges. Never mind the fact that they’ve had use of my $50 for 8 months. Needless to say, the only result of that phone call, besides my increased blood pressure, was that someone would get back to me in 4 to 5 days. That was on about June 19th and yesterday, on June 29th, I finally received the callback, only to have someone telling me that all I would be refunded was $44, and I should expect that in about a week or ten days. DO NOT, I REPEAT, DO NOT WASTE YOUR TIME AND MONEY WITH FREEDOM MOBILE. IF YOU CANCEL, YOUR REFUND WILL BE GONE IN THE WIND. THE ONLY REASON I MAY GET PART OF MINE BACK, IS THAT I HAVE GONE BACK TO THE STORE, CALLED THEM, PLUS REQUESTED IN THROUGH THEIR WEBSITE, WHICH DID NO GOOD WHATSOEVER. IF YOU TAKE THEIR PLAN, BE AWARE THAT THE RECEPTION IS VERY SPOTTY, EVEN IN A MAJOR URBAN AREA. MY WIFE AND I HAD DIFFICULTY EVER CONTACTING EACH OTHER DURING THAT 2 WEEKS. 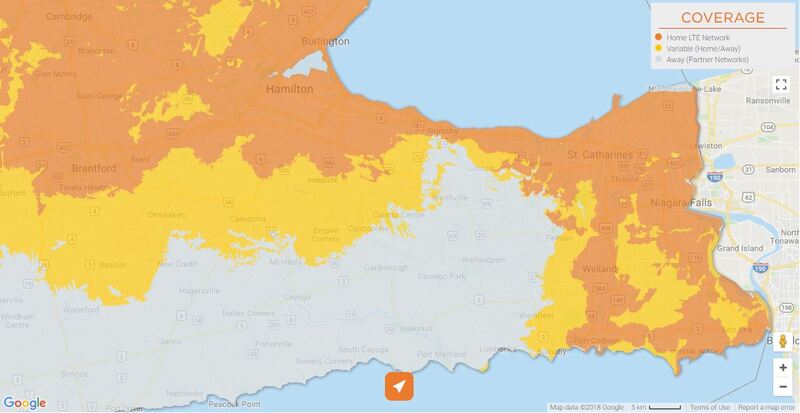 Do they have expansion plans for coverage in the east coast? and any other areas? or do you think they’re just going to stay in these city centres? Would love to see them offer the iPhone!! Thanks for the great review, it was helpful. Although I’ve got to say, their customer service hasn’t been up to par. Thanks for sharing James. Was there a specific incident that makes you feel that way?